Nice and spacious rooms confortable for families or group of friends. 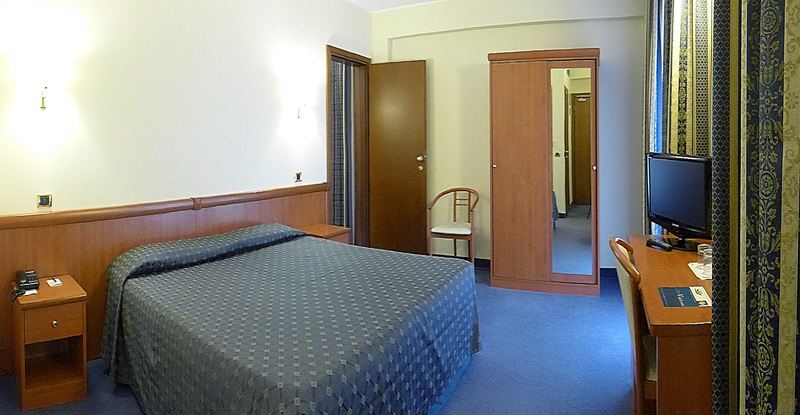 The room can be required with king size bed plus another regular bed; or with three separate beds. Cozy and spacious room: 22 sqm, furnished with warm tones; available with either carpeted or tiled floor has a bathroom with shower and is totally soundproof. Individual climate control, Wi-Fi, satellite TV, mini bar. Possibility of double bed or two twin beds. Two bedrooms, one double and one twin, both with their own bathroom equipped with a shower, internally connected by a door. Ideal for families and groups of friends who want to live a comfortable stay together, without sacrificing the convenience and privacy. 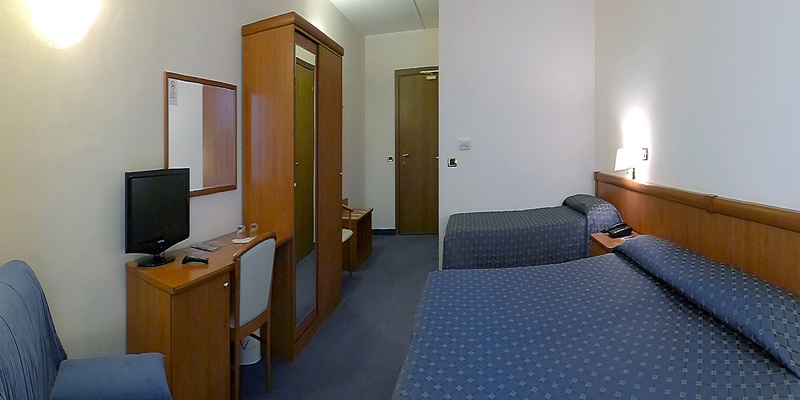 The rooms are completely soundproof, have individual climate control, WiFi, satellite TV and mini bar. Upon request, the type of beds can be changed. Rooms are elegant and spacious, decorated in warm tones. Large bathroom with Jacuzzi and plush terry robes, fully soundproofed, individual climate control, WiFi, satellite TV and mini bar.